Stock # TKD80075, Regular Unleaded V-8 5.0 L/302, Automatic, 2972 mi. *Calculate Payments monthly payment based on 75 month, 6.9% interest, and $0 down payment with approved credit. Does not include tax, tag, & title fees. Look at this 2018 Ford F-150 . Its Automatic transmission and Regular Unleaded V-8 5.0 L/302 engine will keep you going. 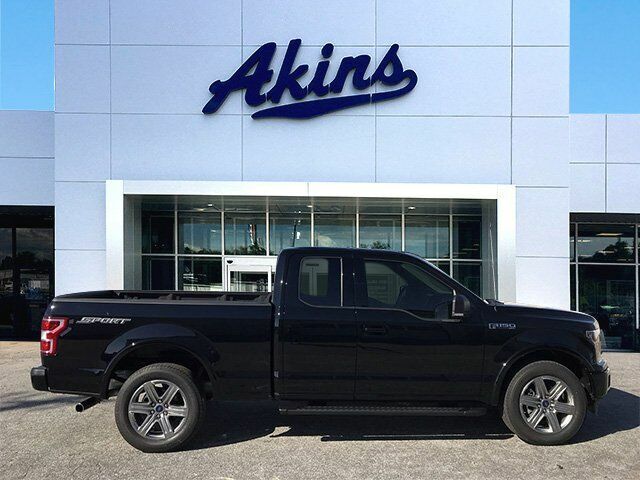 This Ford F-150 comes equipped with these options: ENGINE: 5.0L V8 -inc: auto start-stop technology and flex-fuel capability, GVWR: 7,000 lbs Payload Package, 3.15 Axle Ratio, Variable Intermittent Wipers, Urethane Gear Shift Knob, Transmission w/SelectShift Sequential Shift Control, Tire Specific Low Tire Pressure Warning, Tailgate Rear Cargo Access, Steel Spare Wheel, Single Stainless Steel Exhaust, Side Impact Beams, and Securilock Anti-Theft Ignition (pats) Engine Immobilizer. Stop by and visit us at Akins Chrysler Jeep Dodge Ford, 220 W. May Street, Winder, GA 30680.